Katherine grew up in Louisville, Kentucky and attended college in New Jersey, where she earned a BA in Psychology and a minor in Criminal Justice. 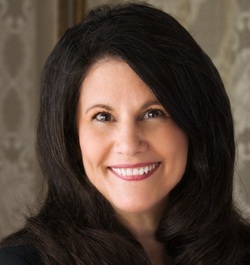 After attending the Philadelphia Institute for Paralegal Training, she returned to Central Kentucky and worked as a real estate and tax paralegal. Katherine is an avid reader, a marathoner, and lives in Lexington, Kentucky. Two Years on the Kindle Time Travel Romance Best Seller ListA Sweeping SagaAs the sole survivor of the car crash that killed her parents, grief-stricken paramedic Kit MacKlenna is stunned to learn her life is built on lies. A legacy from her father includes a faded letter and a well-worn journal. The journal reveals she was abandoned as a baby 160 years ago. The only clues to her identity are a blood-splattered shawl, a locket with the portrait of a 19th century man, and a Celtic brooch with magical powers. Kit decides to continue her father’s twenty-five year search for her identity, and solve her birth parents’ murders. Scotsman Cullen Montgomery, a San Francisco-bound lawyer who resembles the ghost who has haunted Kit since childhood, helps her join a wagon train heading West. More dangerous than the river crossings, bad water, and disease encountered on the trail, is Cullen’s determination to expose her lies and uncover the source of her unusual knowledge and life saving powers. Kit is convinced if she can survive the perilous journey and Cullen’s accusations, as well as thwart his attempts to seduce her, she might solve the mystery of her heritage and return home without leaving her heart on the other side of time. The long awaited sequel to the Kindle Time Travel Romance Bestseller THE RUBY BROOCH! A Union soldier risks everything to save the life of Abraham Lincoln, while a Confederate surgeon races through time to preserve Lincoln’s Legacy. Charlotte is captured by Union soldiers during the battle and hauled before General Sheridan. The General only sees a Confederate surgeon who can solve a challenging problem for him, so he threatens Charlotte with the destruction of her two-hundred-year-old ancestral home unless “he” agrees to rescue a Union spy from a Confederate hospital. To save her home and possibly her own life, she reluctantly agrees. After a harrowing journey to Chimborazo Hospital in Richmond, she finds her target, a handsome, green-eyed spy with a Minie ball in his gut and is now at death’s door. Without a thought for long-term consequences, she returns with him to the future, where she has the technology to save his life. While recovering from his gunshot wound in Charlotte's ancestral home, the spy, Major Michael Abraham “Braham” McCabe learns the man he works for, President Lincoln, was assassinated. Now Braham is determined to return to his century to prevent the assassination. When Charlotte refuses to help him, because it will change the future, he finds another way to get back to his own time. Now Charlotte must find the courage to follow her heart into the past, and fix the mess she created before it unravels and changes the course of history. What began as the rescue of a dying man explodes into an eight-month, terrifying, and spellbinding escapade that carries Charlotte across the boundaries of time, honor, and duty to protect history and those she loves, putting everything she cherishes at risk, her heart, her home, and her life. The enduring power of love can turn tragedy into triumphThe Last MacKlenna is first in romance!Meredith Montgomery, owner of a Napa, California winery, is facing not only another Christmas alone, but devastating news. Seeking a distraction, she flies to Edinburgh to do some genealogy research for a brochure advertising her winery’s 150th anniversary gala. While in Edinburgh, she meets Elliott Fraser, a Highlander, who is president of MacKlenna Farm, a world-renowned Thoroughbred operation in Lexington, Kentucky. A dinner invitation turns into a Christmas Day outing at Elliott’s four-hundred-year-old family castle. Following the most perfect day in Meredith’s life, Elliott rushes back to Kentucky to deal with a crisis on his farm. Not wanting to return to California and the news awaiting her, Meredith stops in Kentucky for a visit. Disaster strikes both Elliott and his farm, pulling Meredith into a web of mystery and murder at a time when she’s facing a crisis of her own. Can these two wealthy and powerful people find their way through the chaos and take a chance on their volatile love, or will the obstacles they face be too much to overcome? 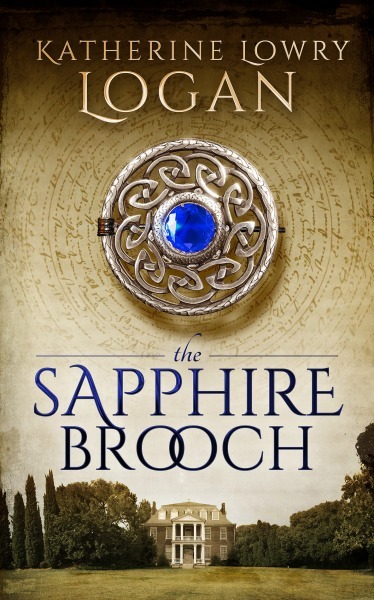 This stand-alone romance takes place between THE RUBY BROOCH (The Celtic Brooch Trilogy, Book 1, currently available) and THE SAPPHIRE BROOCH (Book 2, coming November, 2014). This book is not a time travel romance. It is a contemporary romance involving Elliott Fraser, who is introduced in THE RUBY BROOCH. Elliott and Meredith both appear in THE SAPPHIRE BROOCH. ˃˃˃ A fast-paced holiday romance!˃˃˃ Memorable and colorful characters!˃˃˃ Understated and realistic!